Note that this Challenge is covered as part of the program start Skype for your community’s Local Team of Mission 11 educators. These Skypes for the Mission 11 communities are being conducted by SSEP National Program Director Dr. Jeff Goldstein through Wednesday, September 21, 2016. This blog post is for teachers in the 21 communities across the U.S. and Canada that just started SSEP Mission 11 to ISS. 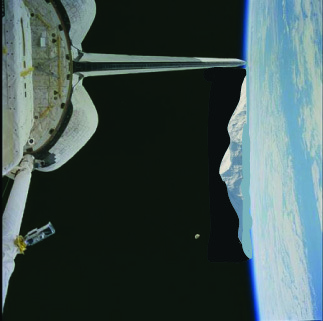 You are invited to use this Challenge with your students to get them thinking about the concept of microgravity (the technical name for the phenomenon of ‘weightlessness’). As part of this Challenge, students are asked to submit what they think is an answer in the ‘Leave a Reply’ section below. Please encourage your students to submit answers, so that all students visiting this blog post can see what other Mission 11 students across the U.S. and Canada are thinking. 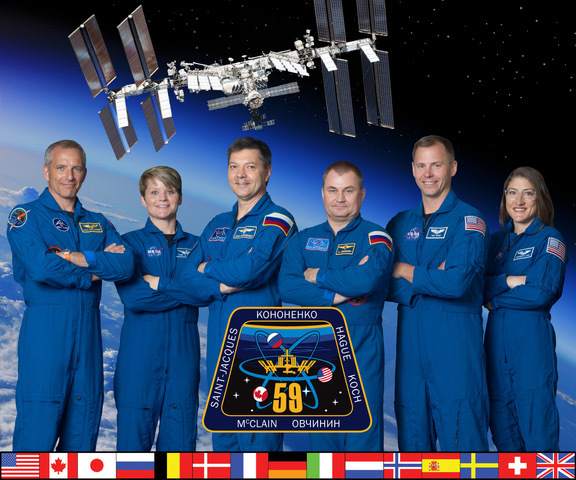 Let’s use this blog post as a social media platform for sharing thoughts about microgravity. The solution to the Challenge will be posted to this SSEP National Blog on Wednesday, September 21, 2016. I’ve heard a lot about this weightlessness stuff, with astronauts having a great time floating around in space. It’s like they weigh nothing at all. So I wanted to find out first hand what’s going on up there. Since they don’t have a spare seat on the next flight to low Earth orbit (at least not yet), I looked far and wide to find an amazingly tall mountain whose peak rises to the Space Station’s altitude in orbit so I could climb up and see for myself. Station orbits the Earth close to 260 miles (420 km) above sea level, and, by the way, crew and station are zipping along at 4.7 MILES PER SECOND (7.6 km/sec) relative to you sitting there at your computer. Bam. The Station just moved 4.7 miles. Really. I’ll even give you a week to noodle on this in class, and at home with your parents. I’ll post the answer next Wednesday, September 21, 2016, right here at the SSEP National Blog. See you then, and good luck noodling! The solution to this challenge was posted here on September 21, 2016. 203 Responses to For the 13,500 SSEP Mission 11 to ISS Student Researchers – A Challenge for the Start of Program: Understanding Weightlessness – You Want Me to Take a Bathroom Scale Where? you will drecrese because your on a moutain and half of your whate will be gone. I think you will be 100 pound on the mountain. I think he would weigh less probably. From 85-100. I think that you would still weigh 150 pounds because if there was a mountain that high there must be some gravitational pull keeping you on the mountain. I think that you will weigh less because if a man weighs 150 pounds on earth he will weigh about 23 pounds in space. You will. Weight the same bcause you are on a montoin their is nothing diffrenrt then the montoin. If I were on a mountain that was so tall, it’s as high up as a spaceship was, then I would probably stay the same weight, unlike the astronauts in a space ship on their way to space.They are weightless in the spaceship because they are floating around. If I broke the atmosphere and was up in space, not only will I not have oxygen but it I won’t have any weight. I would be floating in space. If we were so high up IN earth, then we would probably stay the same weight. But in Space we’d be weightless. I think he will be the same weight because the astmosphere is broken and he’s the same weight but you don’t feel it because if you weight would be less your body would change and even his height might change. I think he will stay the same weight because you’re not outside the amosphere. When you’re outside the amosphere you weight almost nothing. You’ll probably lose a few poinds after you climb the mountain though. I think he will weight 65 pounds heavier. I think that you would weigh about 120 to 145 pounds because you would be high enough up to slightly have micro gravity effect you, but you would still be in earth’s atmosphere, making gravity pull you down, but you would weigh a little bit less because of how close you are to the height where micro gravity takes place. I think you will weigh three fourths of your original weight (112.5 to be precise, I used a Calculator). I think that when you are climbing the mountain your weight will decrease. My estimate is you are going to weigh about 100 pounds. I believe you would way about ten or so pounds less because you way slightly less on Mount Everest (a microscopic amount) so I believe that on a mountain almost 50x that height you would way very little less than at sea level because you still have the gravitational pull of the Earth. i think the person would stay 150 pounds. because you are still on earth. I think that you will be weightless because if the astronauts that are the same height are weighless then you will be weightless too. I think that you would weigh less on top of the mountain. You would weigh less because of the gravitational force. When at a higher altitude, gravitational force seems to lessen. i think he will way 140 lbs because he is at a higher altitude. I think you would be either weightless, or about 20 pounds, but still floating, because you’re 260 miles up, and outside of earths atmosphere in micro gravity. I think that she would weigh 150 pounds. That is because you would still be in earth’s gravity. I think that you would stay 150 pounds because you are still on earth. I think you can not weigh anything because there is no gravity pulling you down. I think he will be about 150 pounds or so. At the top of the mountain I think I will weight the same weight because gravity is pulling you down. The reason why I would weigh less because I am in space and there is no gravity to pull me down and you would be floating around in space. how will you be affected if u get to close to the sun? I think you would weigh less because when they are in space they don’t feel the force of gravity that we feel here when were on earth. I think you weigh a little bit more that you already do. I say this because gravity will be weighing you down along with air pressure. Therefore, you may weigh a bit more than you already do. You would weigh less because of the amount of gravity on the top of the mountain. it’s sooo high up in the atmosphere. I think that your weight would be much less than it is before because on earth when you step on a scale your not on gravity so nothings holding you up. Ur always down but when your in space you will weigh less because nothings holding you down your floating on gravity. I think you will weigh the same because on the top of the mountain it has gravity. I think you would weigh less because of the micro gravity.